Wilson has added adjustable gain control to the 801262 DB Pro amplifiers and made it 62/65dB. Now you can individually control the gain for both 800MHz and 1900MHz. Indicator lights will warn of various error conditions that may be encounter during installation. The amplifier casing is plastic. 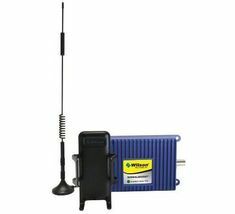 The Wilson DB Pro kit is specifically designed to create a stronger cell signal in one or more rooms in a house or small office. 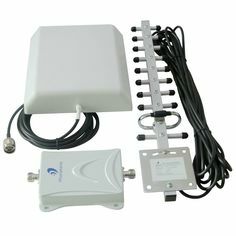 Broadcast distance for this kit and any other cellular amplifier is dependent upon cell signal strength outside the building where the outside antenna is mounted, the size (gain of the amplifier) and the frequency your carrier uses. This is an excellent choice if you are on a tight budget. 800MHz broadcasts much further than 1900MHz. 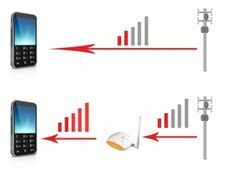 Contact Powerful Signal if you have any questions regarding the coverage distance of this system. 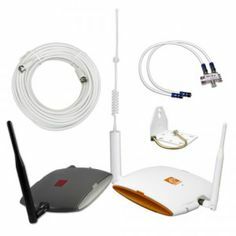 This distribution equipment is used to enhances, extend or amplify signal for the prohibition without the permission of the wireless carrier of signal network equipment will be used. One must consult with your carrier before making any purchase of this equipment and its uses. •	Full Complete kit is available. •	It is compatible with All US-Based Carriers.